Actually there’s a huge possibility that no one in the world has ever had exactly that spread. Why is that? it turns out there are a lot of different Tarot Card Celtic Cross spreads. Let’s see if we can figure out how many there are (don’t worry, this will be easy). The Tarot Deck has 78 different cards in it. And the Celtic Cross Spread uses ten cards. But — and this is important — the position of each card is significant. So unlike, say, a poker hand where you have four aces and a king of diamonds, the order that the cards appear makes spreads with the same ten cards different. 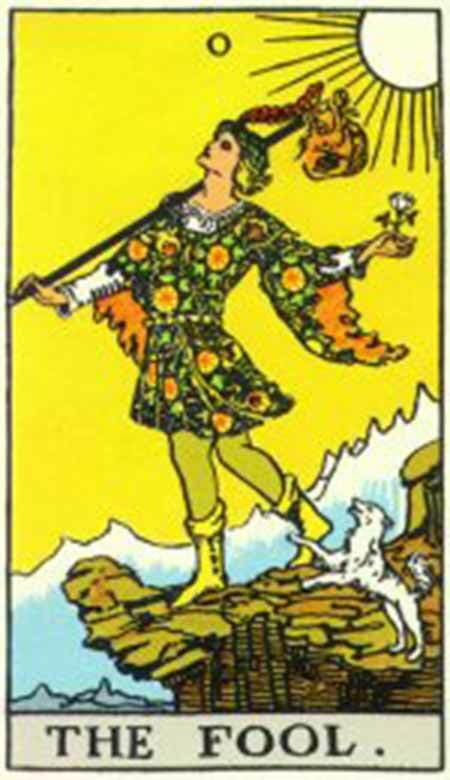 A spread with the Fool Card in the first position is much different than a spread with the Fool Card in the second position — or the third position and so on. So even in a three card spread, there are 456 thousand possible spreads. With the Celtic Cross, with it’s ten possible card positions, the number of spreads gets big. How big? Really big. I mean astronomically big. So let’s calculate how many possible spreads there are. The math is simple. We just multiply. As I mentioned, there are 78 different cards in a Tarot Deck. So to fill up that first position in the Celtic Cross Spread we have 78 different cards that can appear — already 78 different possible spreads. 78 x 77 x 76 x 75 x 74 x 73 x 72 x 71 x 70 x 69 = ???? What does this all mean? Each ten card Celtic Cross Spread is a unique gift that may never been seen in the universe again. So treat it as the unique message it is: an amazing slice of the laws of probability that will only come around once in eternity. A unique spread that is yours and yours alone.